The New Year is often a chance to create resolutions for a new us - improvements, challenges and personal milestones. We get to raise the bar in our personal lives and give us something to strive for. 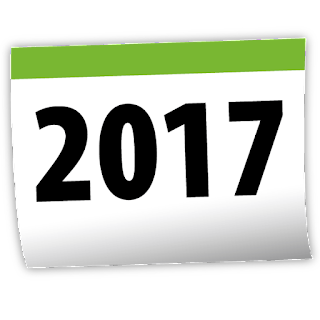 Often resolutions fall by the wayside and are only recognized at the start of the new year when the cycle repeats itself. With only 10 weeks left in 2016 I thought it would be a great time to set some late-year resolutions for LAN Mob and use the New Year as a hard date to report back and hold myself accountable for the progress! I've done a lot of design work on our internal dashboards using Oracle database and Application Express. It's nice to be able to customize everything to suit our needs, but lately we've been requiring more robust software to stay organized and on track as a team. I feel like I can design anything with APEX, but my time is short and stretched thin. We recently started evaluating Basecamp 3 for keeping internal projects on our radar, maintaining the store daily and communicating day to day. This idea hatched not even a month ago and it's something I'm very excited about - a Central/Upstate NY LoL League. The kind of league where ANYONE can find/form a team, compete at their own level and feel like they have a level playing field. The demand is overwhelming and I think we have the right system in mind for managing this. What's left is a lot of design work, followed by a heavy "boots on the ground" approach to get the word out there. I'm very excited to launch this and can't wait to bring more details to you all! We recently completed our year-long sponsorship search and are preparing to send Draxsel off to UGC Smash Open December 2nd-4th in Illinois! We need to get him measured and fitted for a fresh jersey, and we'll have a viewing party planned the same as Pound 2016 where you can come hang out and watch Draxsel attack his second major event. We think this young man is a couple knees away from breaking into top-16 territory and hope you're around to witness it with us! Our weekly tournaments have continued on Saturday with some regular faces, although we haven't technically taken to calling this Season 5. We love the community that's formed around LML-Smash and wish to continue with this, but have a couple roadblocks in our way. The first roadblock is the loss of Slooze to other commitments for the foreseeable future. He was a constant presence in friendlies, tournament play, and casting and will be sorely missed. Spydude43 has offered to step up in a volunteer role which may allow us to pick up casting again on Saturdays, something I know everyone enjoys on tournament day and re-watching later. We first met Spydude43 as a volunteer caster almost a year ago and I believe he's the hero LAN Mob needs to help keep the stream chugging along. Our second roadblock is growth of the community. Being in Rome we have certain geographic limits - there are only so many local players to pull from. We've faced strong resistance trying to promote our community locally, in particular with the Syracuse Smash managing group. I don't understand why a group with an interest in growing the Upstate NY smash community would seek to squash out local growing communities, which do a great job introducing the game to newcomers and promoting the concept of fighting game communities. Still our requests to get added to the Upstate New York Smashboard thread go ignored, our posts on the Syracuse Smash facebook group deleted, and our staff threatened with banning. 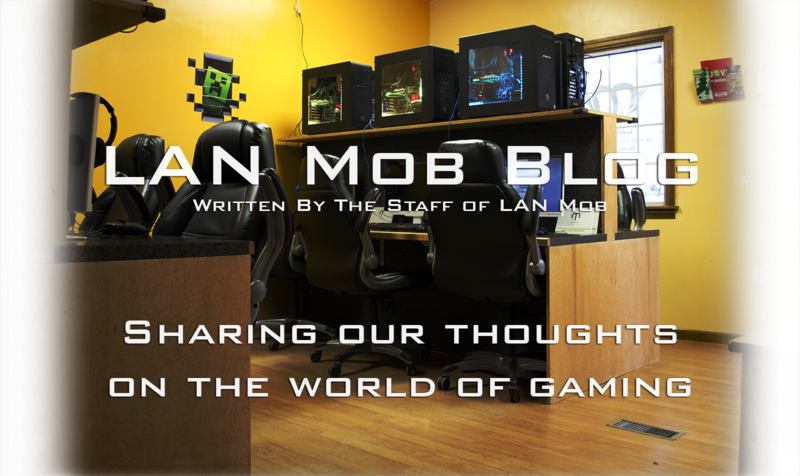 It really could have been a beneficial relationship between both LAN Mob and Syracuse Smash, but we were met with so much hostility that we have zero desire to seek out or work with anyone in the current management group. Outside of that, I'm particularly interested in how we can grow the community organically by introducing the game to new players and growing them into contenders. We accomplish some of this through our weekly friendlies event, but I believe we need a more robust approach that requires a completely different way of thinking. It's something we've argued over internally a great deal - how to incubate growth while keeping that edge as a fighting game community - and I'm sad to say we still don't have the answer, but I hope we find it over the next 10 weeks. Our tiny little prototype LAN center is seeing a resurgence in PC gaming, possibly due to the present consoles reaching their end of life. While the LAN PCs being fully occupied is great for the business, we've had to turn some people away on the weekends and at lock-ins. Adding a few more PCs should help us better support our customer base through the next few months. We're also excited to be rolling out some new software on the PCs that we believe everyone is going to LOVE - more details on that in the weeks ahead! With Slooze off wandering the east cost we're short on staff. I'm personally facing an insane 78-hour, 7-day workweek to fill the gap and there isn't enough caffeine to carry me through that. So we need to staff up and quickly! We recently held some interviews and are looking for the right balance of candidates. There are a lot of skills we need, gaming being the most basic of these, but PC repair, computer networking, social media marketing, business management, event organizing are all in shortage. I realize a person with solid skills in all of those areas just doesn't exist, but if you're strong on at least two of those, are reading this, and are interested, I very much want to speak with you. Please contact us and we'll talk! The business has short-term and long-term needs to address. We've started to outgrow our space at peak times, and it's about time we start to make that transition to a larger center. We have a lot of ideas what direction that space could take, but now it's time to really drill down what the design looks like and what our timeframe is. I would like to have those plans in place by the end of this year so that we'll be prepared to make that next step in 2017. Reading the list after writing it I have a lot of work cut out for the rest of the year! Check back after the 1st of January for an update on my progress.